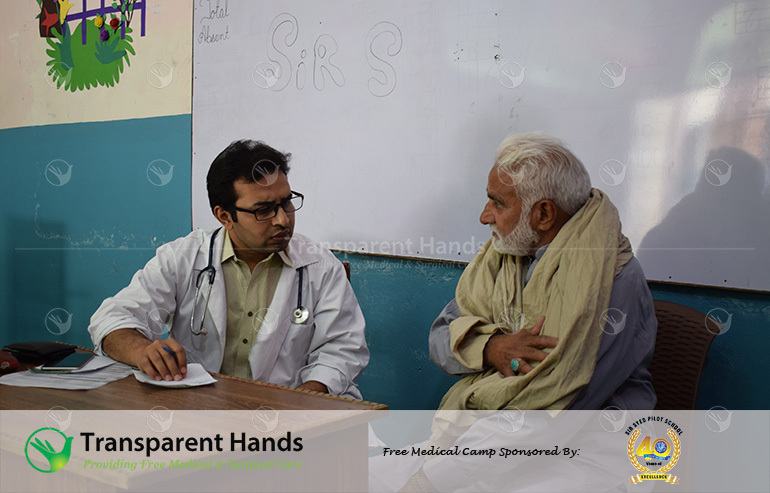 Transparent Hands organized a free medical camp on 7th April, 2019 at Sir Syed Pilot School, Model Colony, Wazirabad. 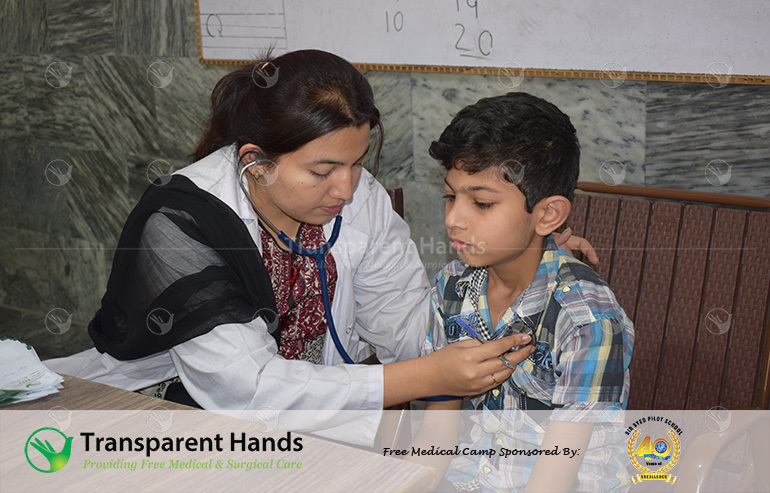 The camp was organized by Transparent Hands with the collaboration of Sir Syed Pilot High School Society. 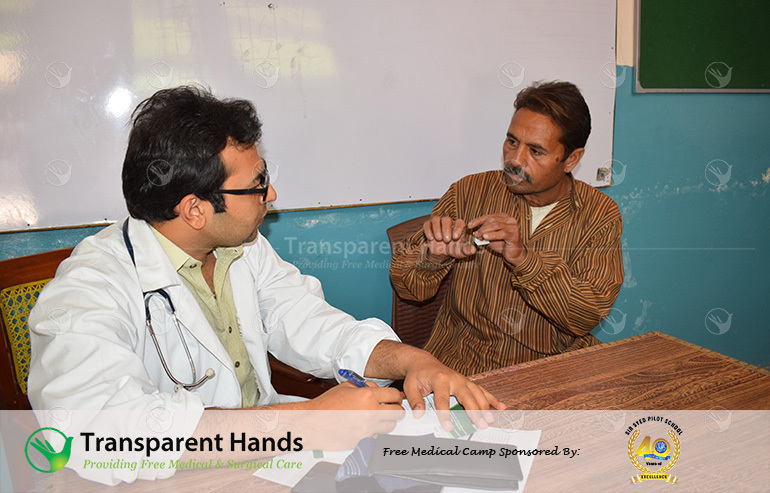 In this medical camp, 272 patients were checked free of cost. 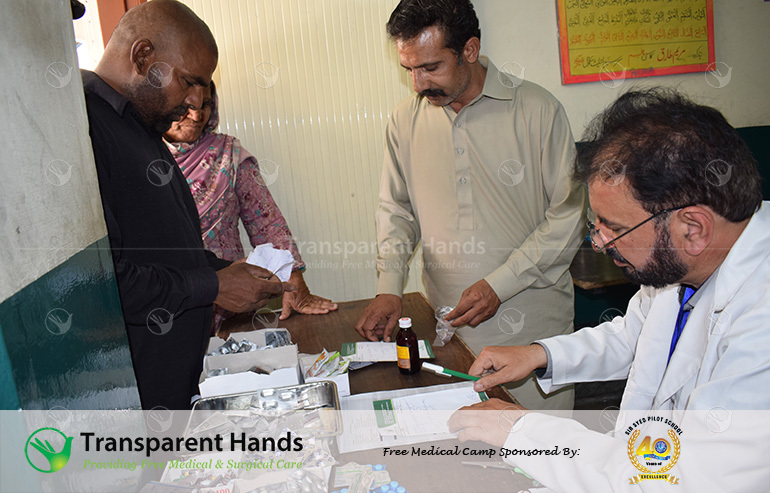 They were also provided free medicines as prescribed by doctors. 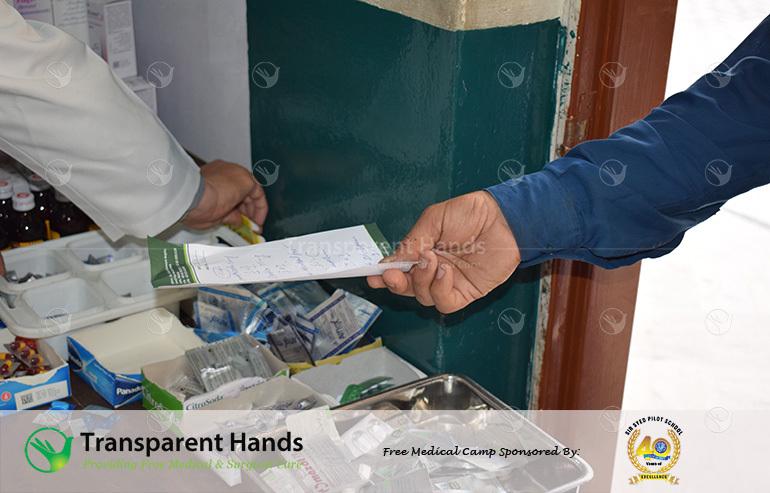 In the camp, blood sugar, blood pressure check-up and Hepatitis B & C screening test facilities were also provided to the patients free of cost. Out of 272 patients, 75 were screened for HCV and HBsAg. Among them, we found 4 HCV positive cases. 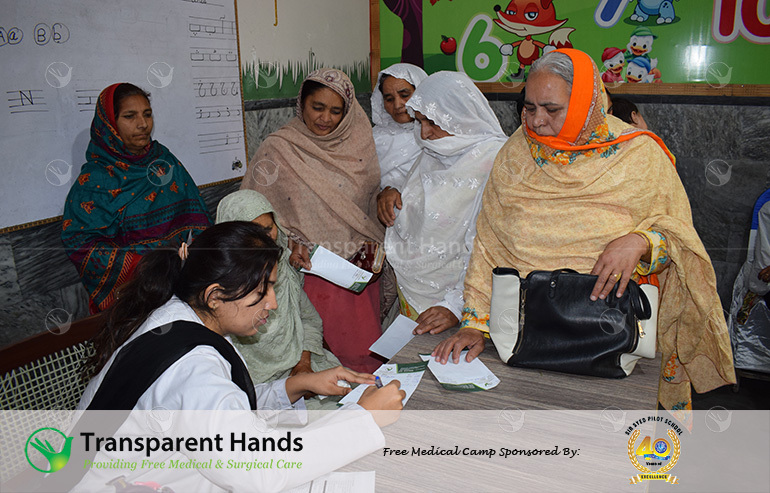 In the camp, 7 surgical cases were also identified and they were pre-registered with Transparent Hands for free surgical treatment related to Orthopedic, Gynae, Hernia and Goiter diseases. 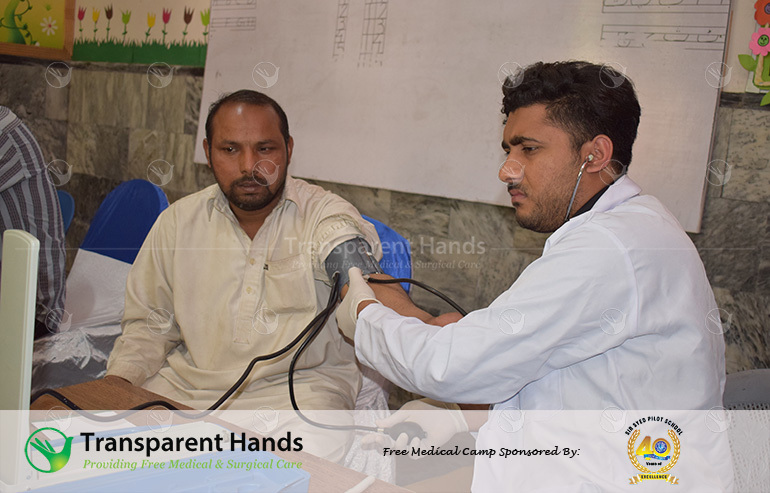 Hundreds of deserving patients came to the medical camp for free treatment of various ailments such as chest infection, seasonal fever & flu, skin allergy, high blood sugar levels and many other diseases. 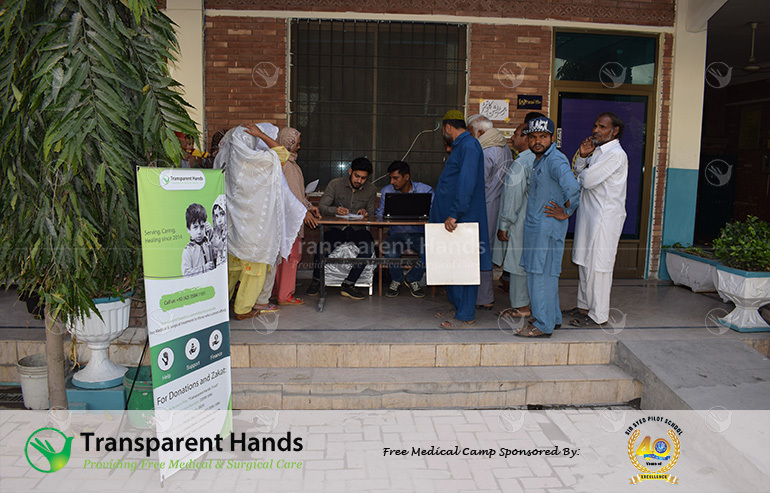 Transparent Hands team comprising of 12 members managed this medical camp successfully. 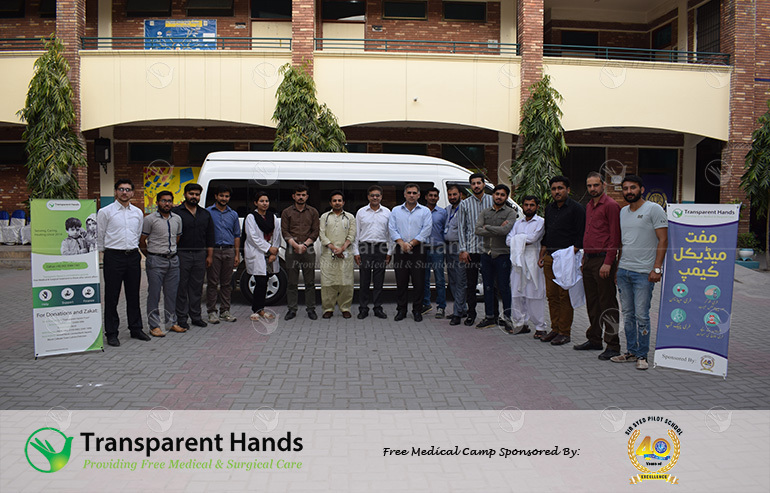 Team included 3 doctors, 1 pharmacist / dispenser, 4 phlebotomists, 1 supervisor, 1 photographer and 2 patient registration persons. 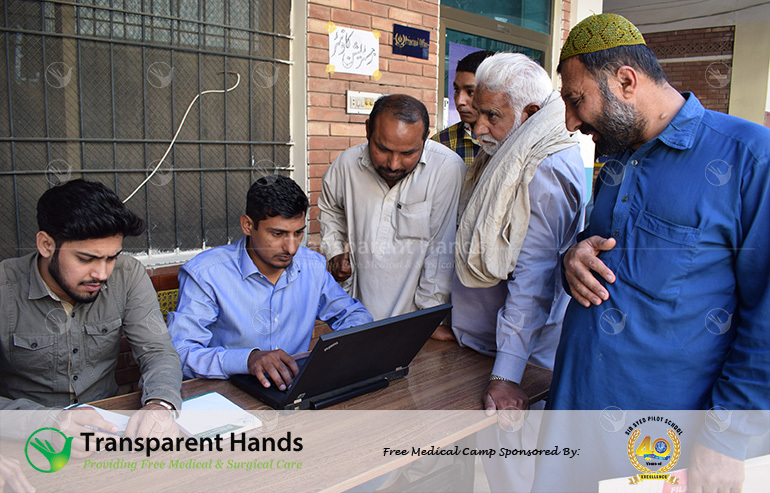 There are many remote areas in Wazirabad where people don’t have access to basic healthcare facilities. 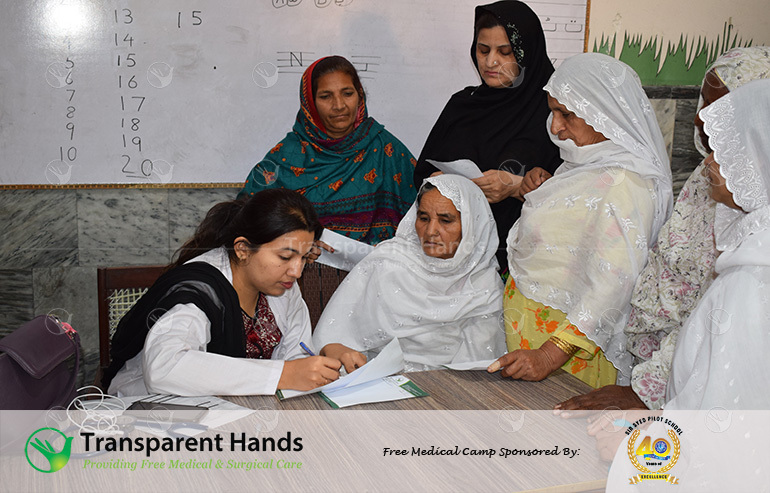 Through this medical camp, many patients and their families were able to get timely treatment without which they could suffer from further health complications. 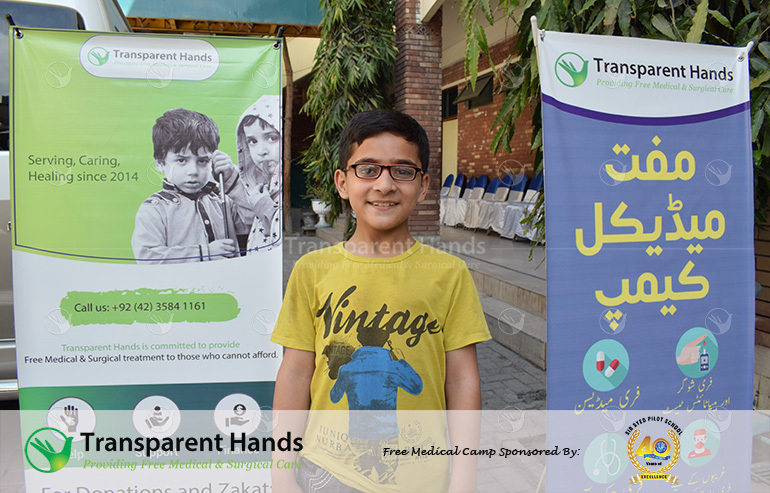 Transparent Hands intends to organize more medical camps in Wazirabad and its surrounding areas with the help of its kind donors.